Plot: In the last days of the Cardassian occupation of Bajor, a scientist named Terrel attempted to unlock the secrets of an orb of the Pah-wraiths, only to be forced to abandon the project when the orb became unstable. Six years later her secret lab is discovered aboard DS9 and forces within the Dominion, Cardassia, and the Cult of the Pah-Wraiths all seek to gather the three orbs of the Pah-Wraiths for use as a weapon, or to create a new wormhole. Playing as Sisko, Worf, and Kira, the player must find the missing orbs, and stop the forces trying to control the Pah-Wraiths before it’s too late. Well-versed in DS9 lore. 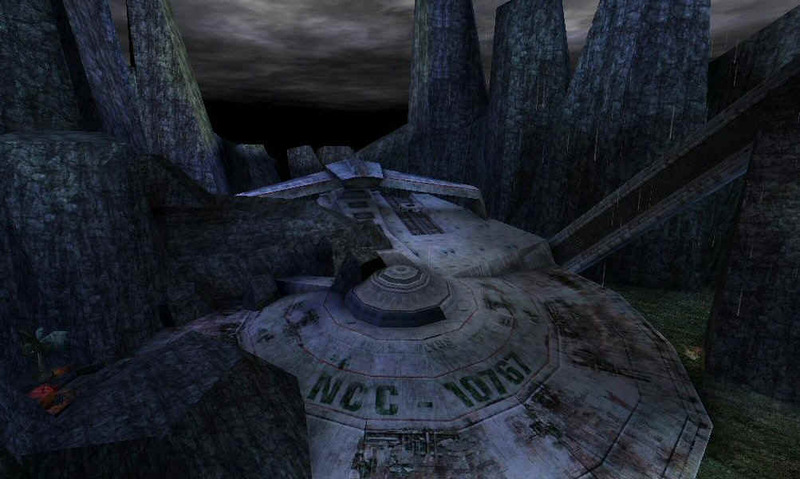 The game itself takes place toward the end of the 6th season, but contains many references to episodes throughout the series including the mining operation on Jerrado (“Progress”), Kira assuming a Cardassian appearance (“Second Skin”), secret areas and defenses from the Cardassian control of the station (“Civil Defense”), the telekenetic abilities of the Vorta (“The Jem’Hadar”), and Dominion prison camps (“By Inferno’s Light”). 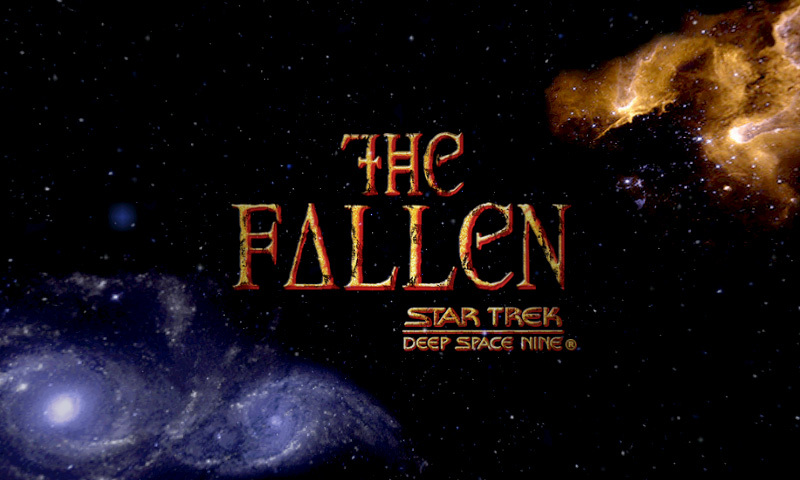 The game also foreshadows the later events of the series including the final confrontation with the Pah-Wraiths, Dukat being possessed, and the Pah-Wraith cult. The game is re-playable through each of the three main characters: Sisko, Worf and Kira. The storylines run in parallel but feature different levels and gameplay for each. One mission involves exploring a crashed Miranda class starship. The level design for this sequence is excellent, climbing through a hostile jungle to see your first glimpse of the ship, fighting Jem’Hadar on the outer hull, then diving inside and having to work your way through submerged sections to a hidden lab. Your default weapon is useful throughout the game and is good for almost all light combat encounters. This is good since the heavier weapons may not always have plentiful ammo. Terry Farrell reprises her role as Jadzia Dax for the only time after her character’s death at the end of the 6th season. The game uses a beta build of the Unreal Tournament engine, one of the first game engines to feature truly expansive environments. Both the Ulysses mission and the reveal of a buried Pah-Wraith temple move from tight confined spaces to expansive open levels. This engine was in a sweet spot for games of the era. Next generation engines would feature better graphics, but the level design was much smaller and featured more loading (see Deus Ex vs. Deus Ex: Invisible War). Even with its old and outdated graphics, the level design is on par with the best games of today. You can look out the window of Sisko’s office or the Promenade and see the rest of the station. A mod for the game (titled Convergence) was created by one of the level designers for the original game, and includes another twenty or so levels of gameplay (on top of the 24 base levels). A lot of enjoyment for a shooter. The music is atmospheric and chilling, and in MP3 format easily accessible in the game’s install directory. More than 90 minutes of DS9 game music. Avery Brooks and Colm Meaney were unavailable to provide the voices of Sisko and O’Brien. The Sisko performance is okay, but O’Brien is pretty terrible. 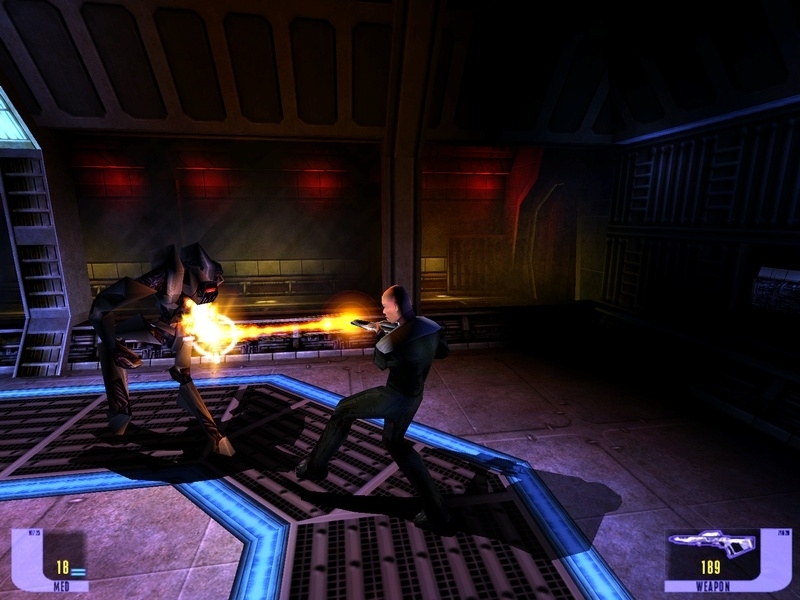 An early mission features an enemy that you need to scan with your tricorder before being able to shoot them. This can be a bit of a barrier to entry for someone just getting used to the game’s controls. The default auto-targeting doesn’t always work well. It removes options for destroying explosive containers to kill enemies by always targeting the combatants. The story can feel disjointed and incomplete until you play through all three characters. Some missions, like the Ulysses aren’t explained well initially until you read through tactical briefings, and watch later cut-scenes. Some people criticized the lack of multi-player, which would have been cool in a few places. For me the game doesn’t suffer without it. The game isn’t easy to run on a modern system, though I was able to get it running pretty quickly by installing a program called nGlide. I’m re-playing on my ASUS Windows 8.1 machine with no problems so far. Bottom-line: The game would be a reasonably good third-person shooter without the Star Trek trappings. Weapon balancing is pretty good, and requires a more considered and tactical approach. 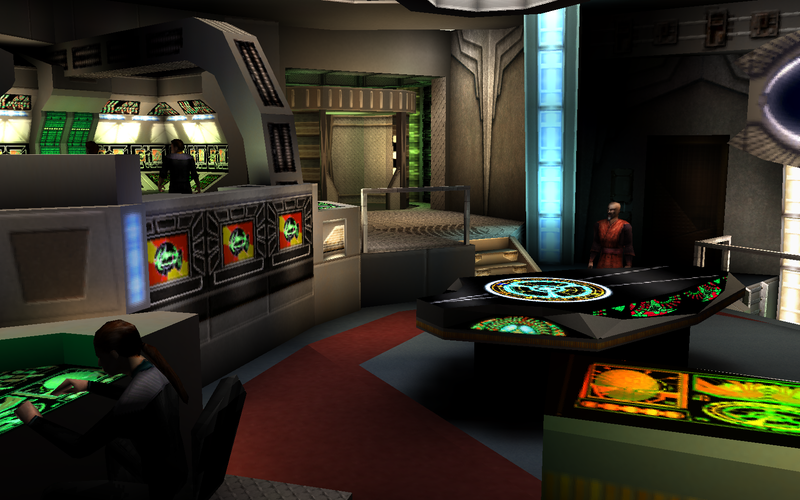 The level design is epic in feel, and there are lots of things for the DS9 fan to enjoy, including walking into Quark’s bar, talking conspiracy with Garak, and walking on the hull of a crashed ship (seriously, that is still cool 15 years after the first time I played it). The plot would have fit well as two-part episode of the show (and is partially based on the Millennium series of DS9 novels). Definitely the best DS9 game made for the PC and still fun today.